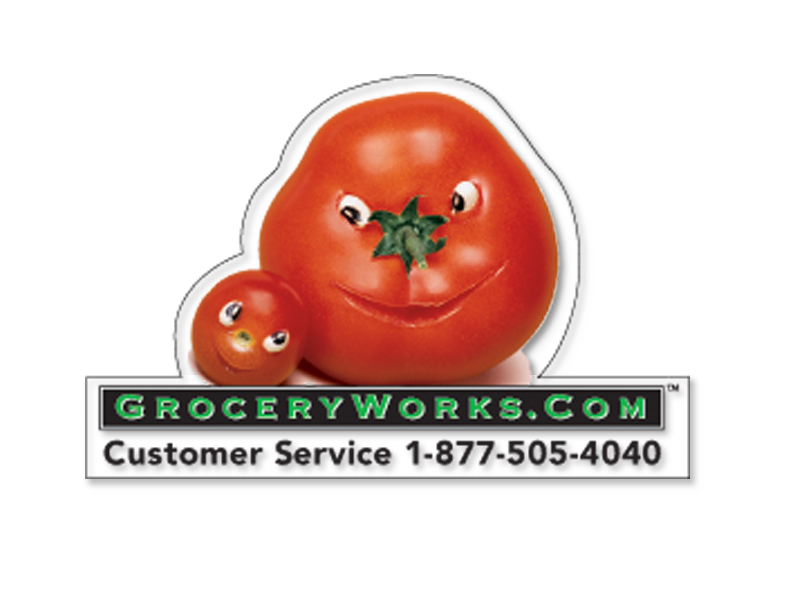 Working closely with the Launch Partnership team, ’Berta helped to promote the services of GroceryWorks.com. 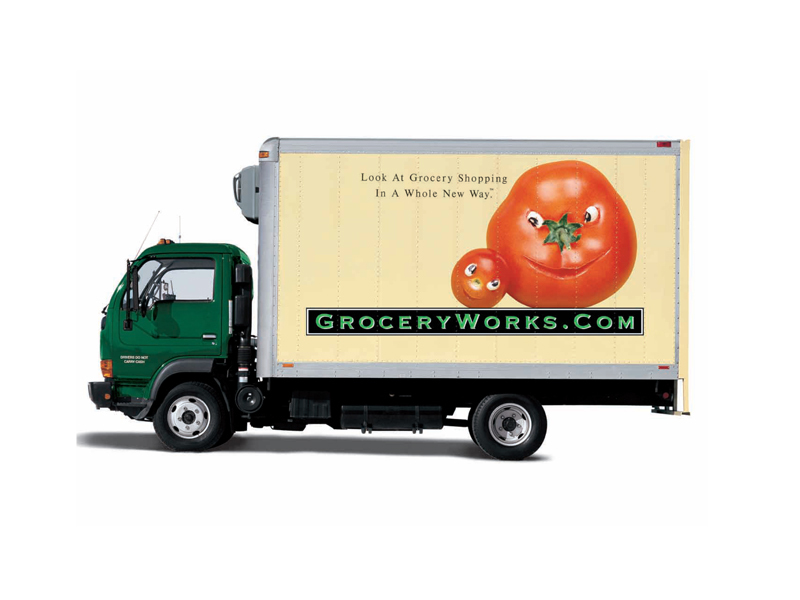 GroceryWorks was a Dallas-area based startup providing online ordering and delivery service of high-quality, fresh groceries directly to customers’ homes and offices. The big challenge ’Berta faced was to promote this service to a customer base that was accustomed to driving five miles to the store just for a gallon of milk. 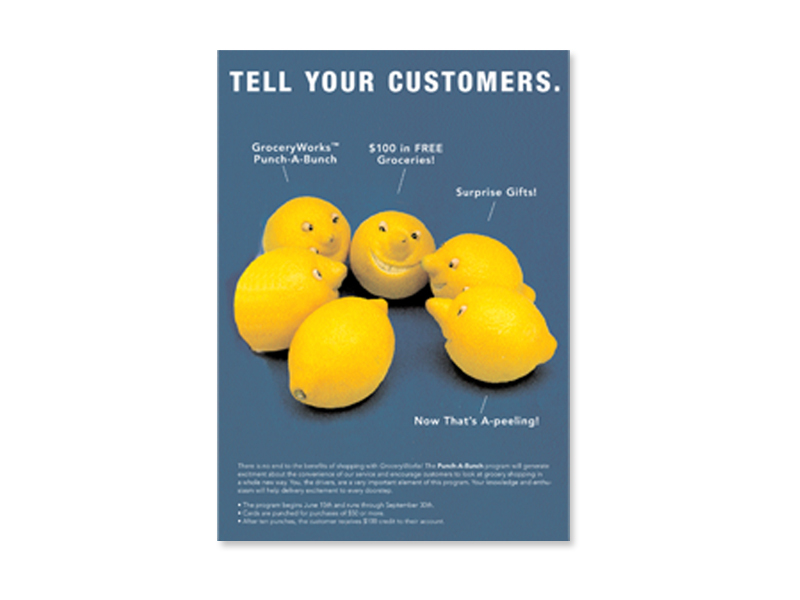 When GroceryWorks was founded, customers had started adopting online retail for established brands, but hadn’t fully made the leap to shopping for groceries online. 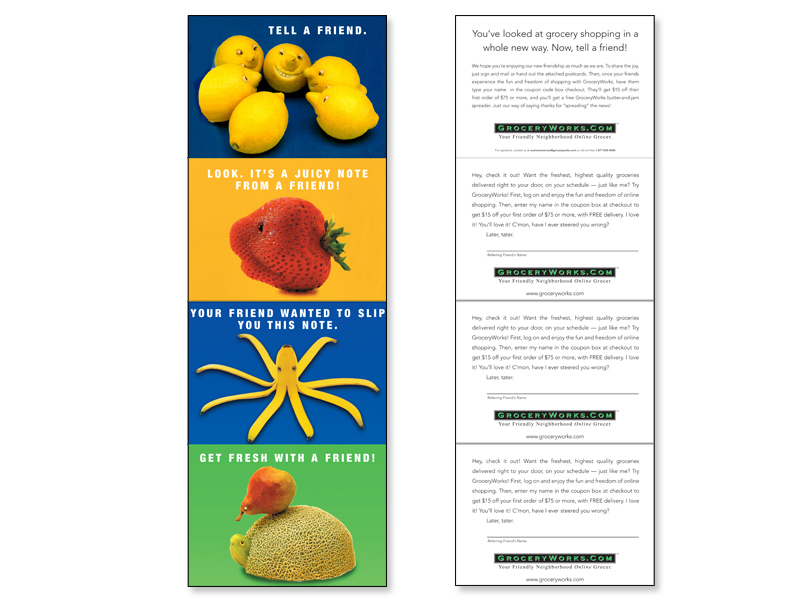 Even though this isn’t one of ’Berta’s more recent projects, it’s a good example of a client overcoming a seemingly insurmountable challenge, and was just a darn fun campaign to work on! was an early pioneer of the home delivery concept in the internet age, striving to make home grocery delivery easy and affordable. was very committed to customer service and devised many incentives to encourage frequent repeat shopping. 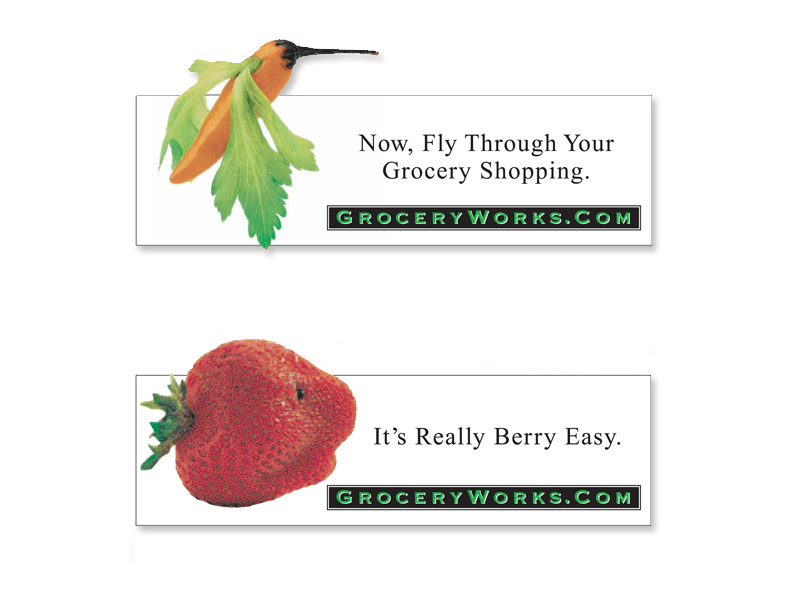 Magnets and other small items were given to customers to show appreciation for their business, and to serve as a reminder to shop again at GroceryWorks.com. and the team at Launch Partnership had to get customers “over the hump” of shopping online for groceries rather than driving to the store. had to convince customers that the quality of goods they would receive at home was just as fresh as the quality the could buy at established chain grocery stores. joined the Dallas-area based Launch Partnership team on the account early on. 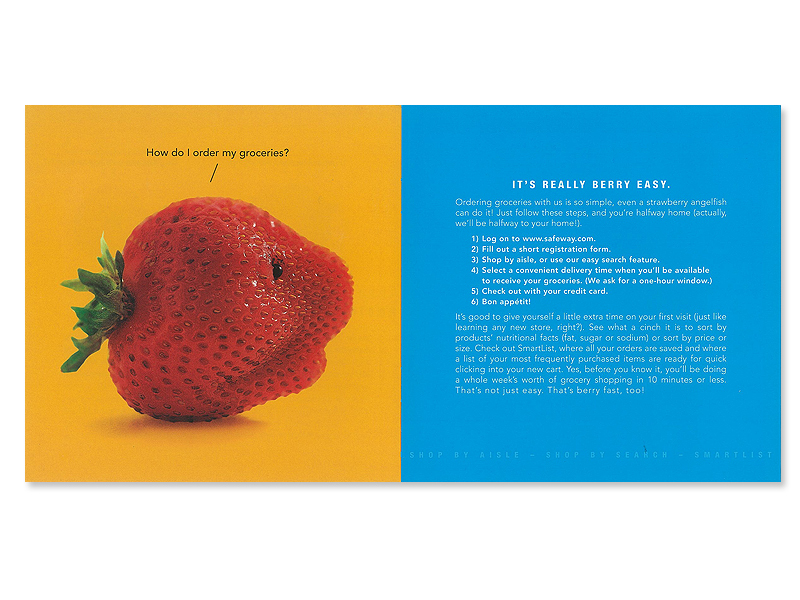 carried out visual continuity throughout the design of concepts across the board, creating pieces ranging from truck wraps to loyalty programs to refrigerator magnets. 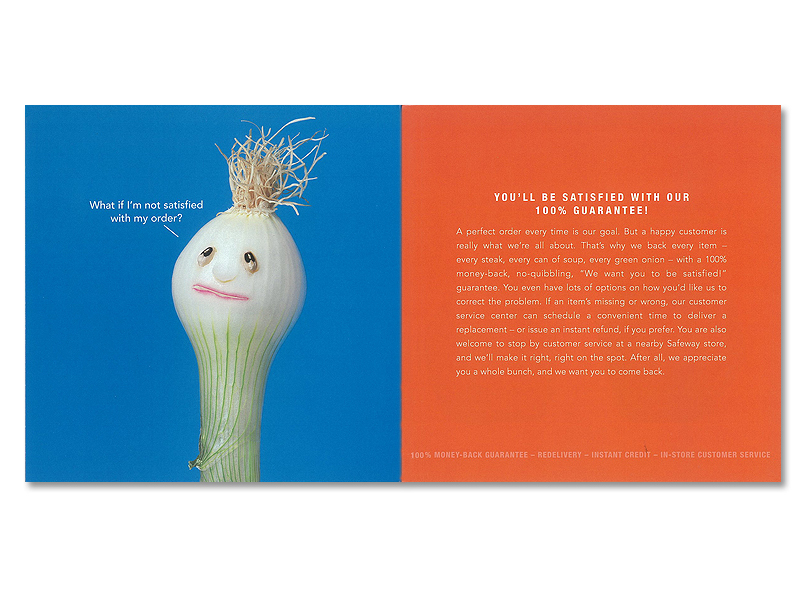 contributed campy copywriting (always working in a food pun or two), along with on-point visual design. aided the Launch partners in advising the client on key branding decisions. Having access to licensed Play with Your Food and How Are You Peeling? 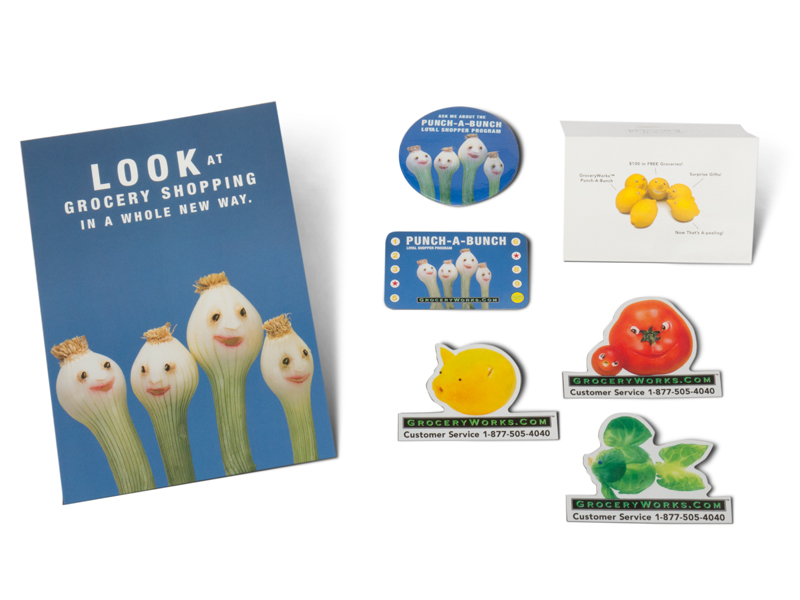 fruit and vegetable characters made ’Berta’s job a little easier. The characters were really engaging and fun, as well as eye catching and different, which helped the campaign almost sell itself. 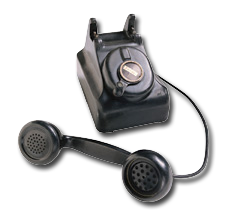 Anytime a team works closely with a small company with a big idea, a friendly and trusting relationship can develop. 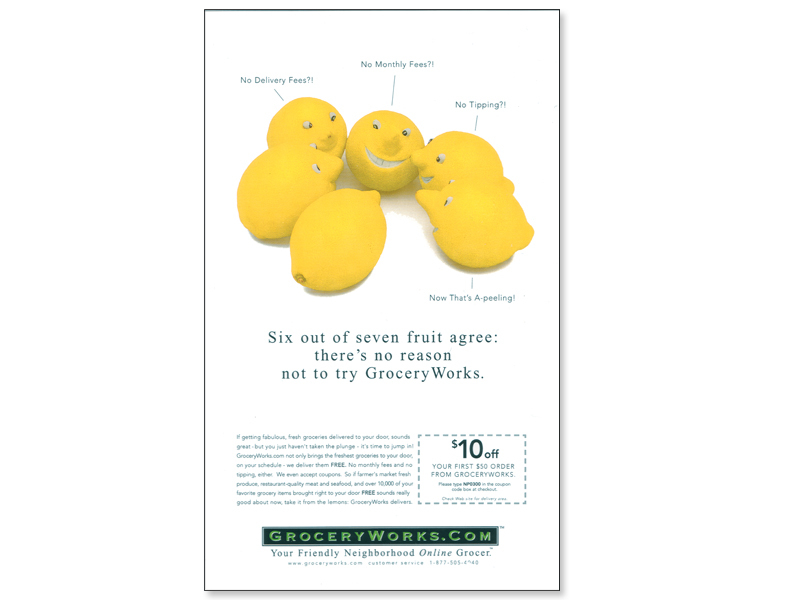 GroceryWorks.com relied on the Launch team’s expertise and really allowed us to drive the creative while they stuck to driving the delivery vans. 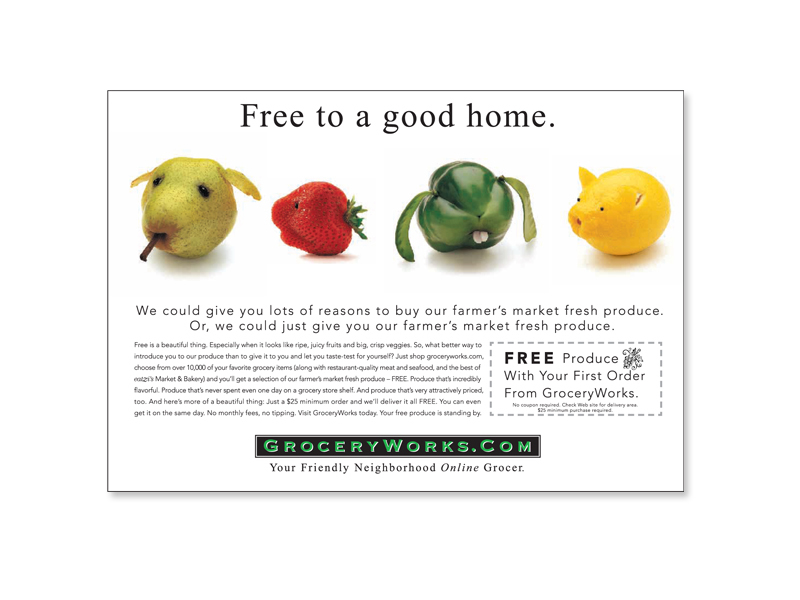 GroceryWorks.com became a prominent player in the online grocery market with service in Dallas, Houston, and Austin, and plans for expansion in Chicago and Phoenix. 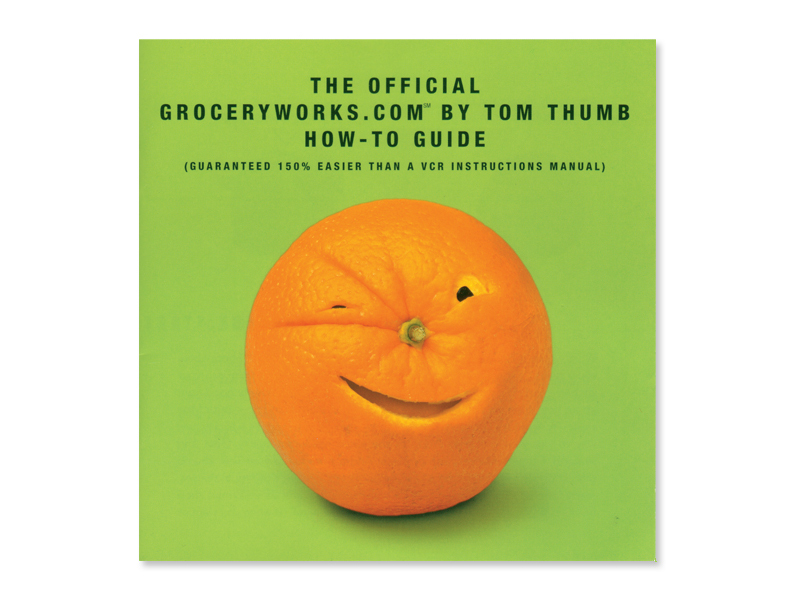 The startup was subsequently acquired by Safeway.com!